The countdown has begun. It is only 100 days until Christmas! This could be your year to plan ahead and get everything lined up so you aren’t rushing out at the last minute to get all the gifts you need. Today would be a great day to start saving up some money for Christmas. Put aside all your spare change or save a certain amount of money each week. Every little bit helps so you aren’t charging your purchases or trying to come up with the money all at once. One thing that I do each year is make a list of every person I need to buy gift/gifts for. Then I keep that list in my purse. When I see something while I am shopping I can pick it up and mark it down on my list. I keep all my gifts in a closet, but since they are all written down, I don’t have to worry about trying to remember what I bought for who. This list also helps me think about who I am buying for so I can be looking for things as I am doing my regular shopping. You never know when you might find a really good deal on something special for your aunt or nephew. 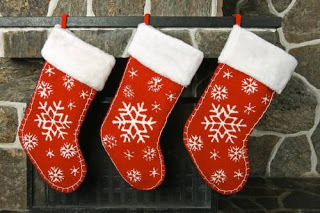 This list also helps immensely with keeping track of the gifts for our kids. I keep a list for each child and also keep track of whether it is from Santa, for stocking stuffers, or from us. This helps me keep it relatively even between all the kids. Also, since our daughter’s birthday is right after Christmas, I keep a list for that as well. It is really difficult to shop after Christmas for her, so I do all her birthday shopping when I do our Christmas shopping. I keep each years list to make sure I am not giving someone the same gift. I know this may sound like a lot, but I make an effort to get gifts for people that I think they will appreciate. By making these lists it helps keep me much more organized and hopefully spending less money. Now would also be a good time, if you have a large family, to talk about who is going to host the holiday celebrations (including Thanksgiving). Getting all those dates figured out on your calendar and knowing who is responsibile for hosting makes the holidays go smoother when everyone knows where they are expected to be. 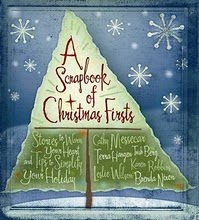 One of my favorite books for planning and getting into the Christmas spirit is A SCRAPBOOK OF CHRISTMAS FIRSTS. For more on this book, you can check out my review of here. You can also check out their blog at http://scrapbookofchristmasfirsts.blogspot.com/. Start making your lists and checking them twice, because in just 100 days it will all be over and we’ll be wishing that this time hadn’t gone by so fast! Wow, Stacie, I can't believe it's only 100 days to Christmas. Of course my mother would have started her shopping by now 😉 Thanks for mentioning the Scrapbook. We appreciate it!